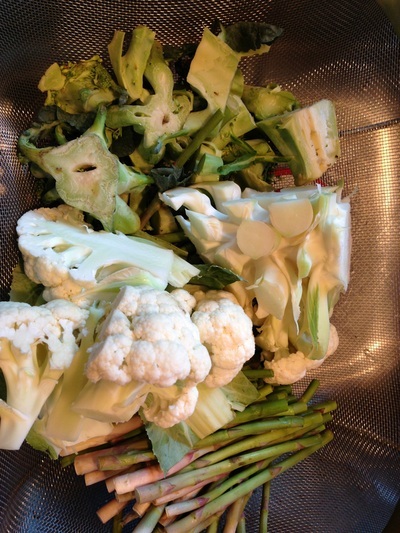 How fun is it to use parts of your vegetables that you would normally toss out. I love this re-use, no discard, no waste idea when using stalks, leaves and stems that you might have just thrown to compost or to the trash. 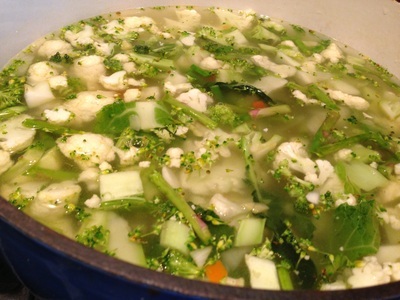 I saved Broccoli Stalks, Cauliflower Stalks and Asparagus Stems for this soup. 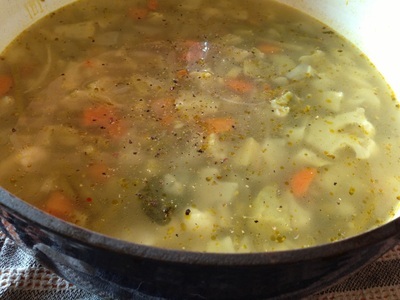 I decided to make this soup blended so I knew that I could use pieces that I would normally would not find pretty enough to use is a chunky soup. 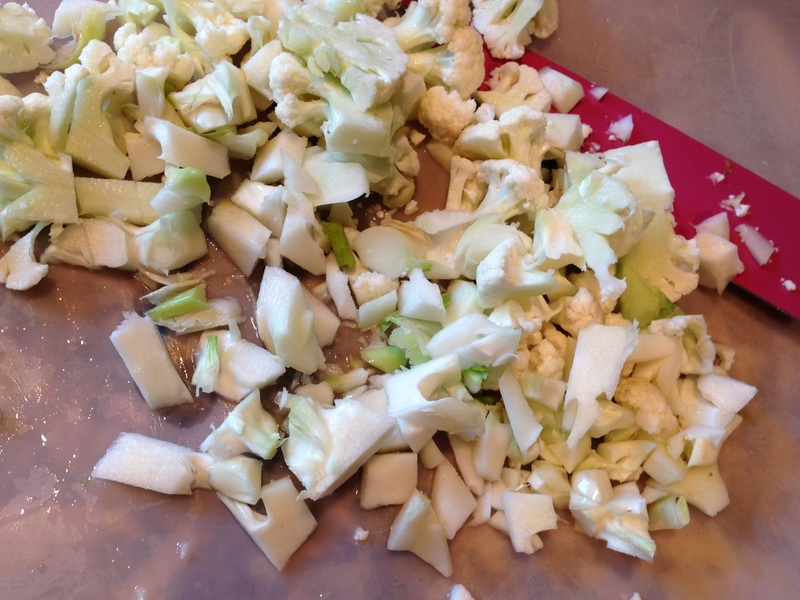 With this is mind I cleaned my stalks and stems well and then chopped away to my hearts content. This soup came out delicious and healthy. 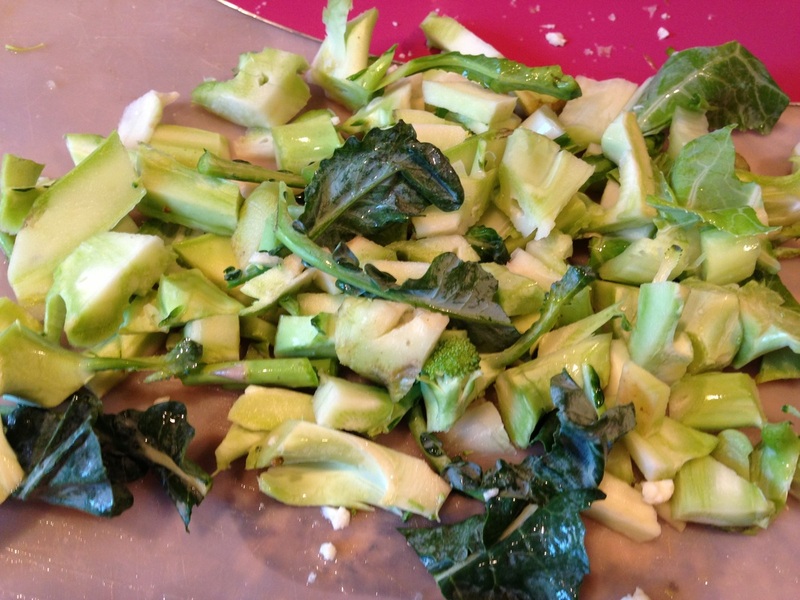 The stalks of the Broccoli have more fiber, Vitamin C and calcium then the florets. 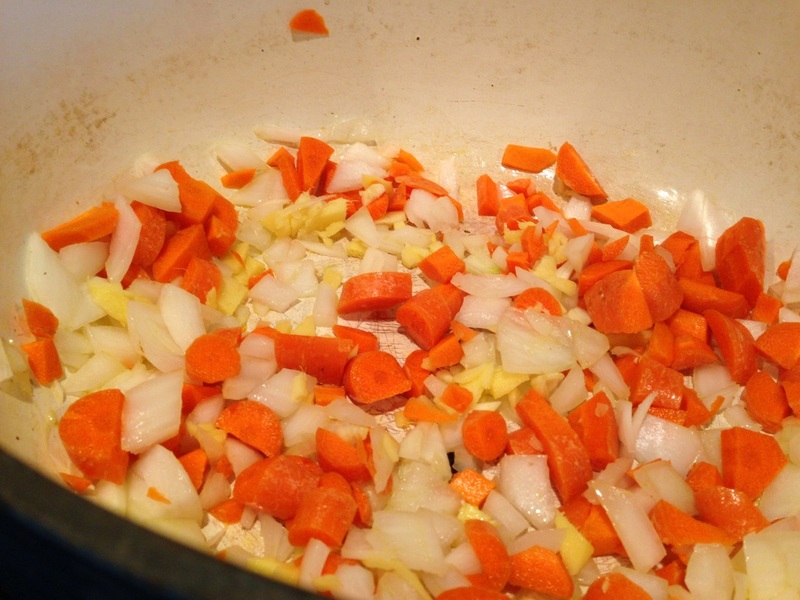 If you are using the stalk and the florets put your stalks in your recipe first as they will take a little longer to cook adding your florets about 2 minutes later in cooking time. Cauliflower is such a healthy vegetable. 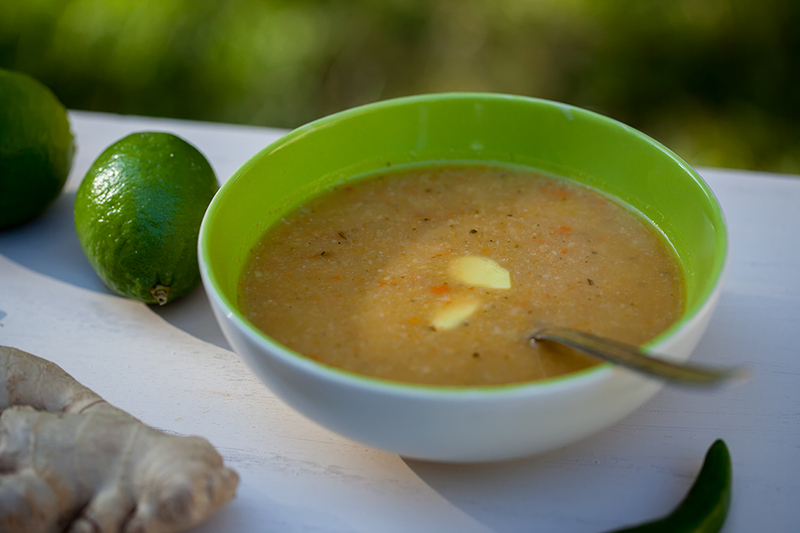 I used the stem and the leaves in this soup which have the same nutritional value as the florets and the leaves add some sweetness. 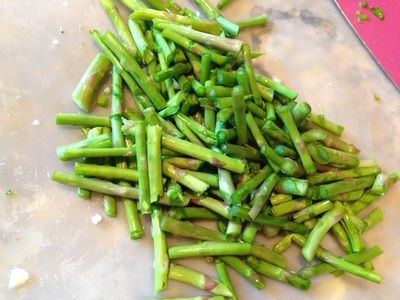 The bottom of your Asparagus that you would normally toss out has the same nutritional value as the top sweeter section. The easiest way to decide the top and bottom of a asparagus stem is to break it with your fingers. 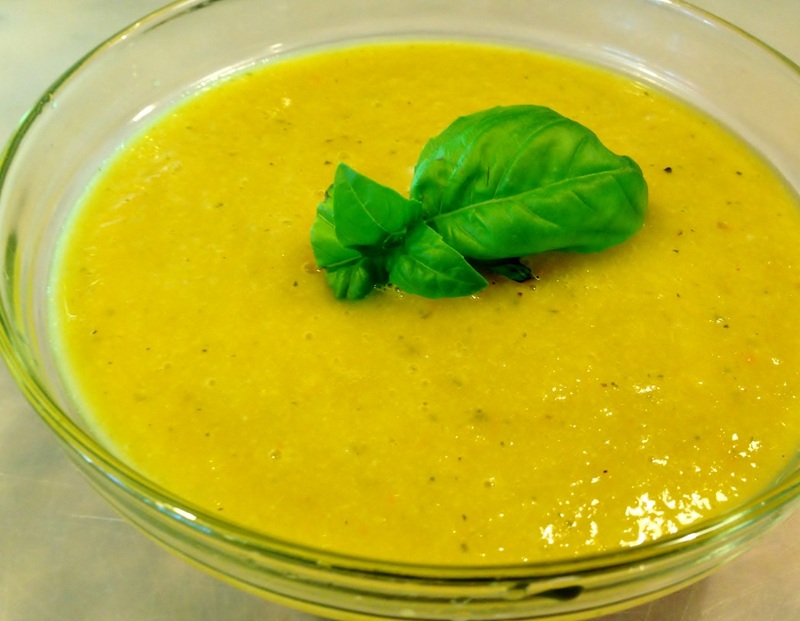 It will naturally break at the tender spot that you can then use the top section for veggie dish and the bottom section for this soup! I love creating recipes that use stems-to-roots ingredients. 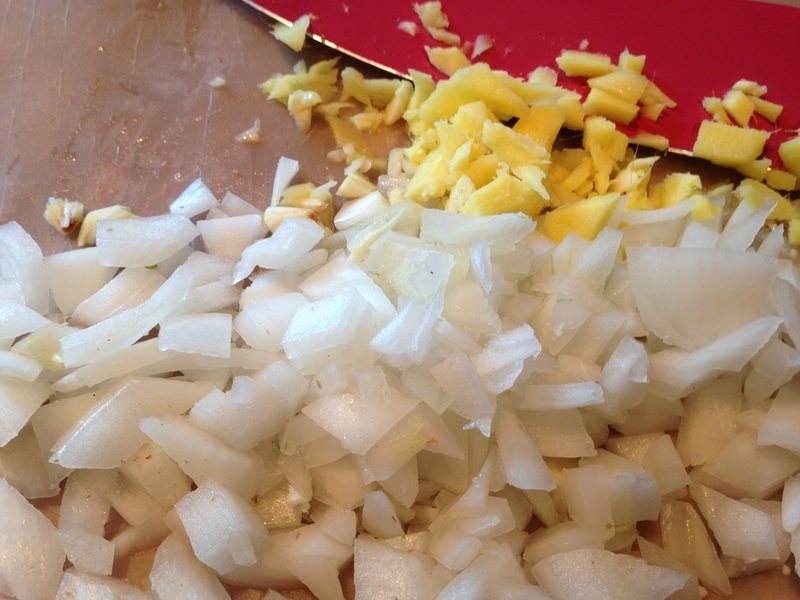 This soup is easy and fun to make and very forgiving with your chopping as we will blend the soup at the end. In large soup pot sauté garlic, ginger and onion for a few minutes. Add carrots, cauliflower stem, broccoli stem and asparagus. 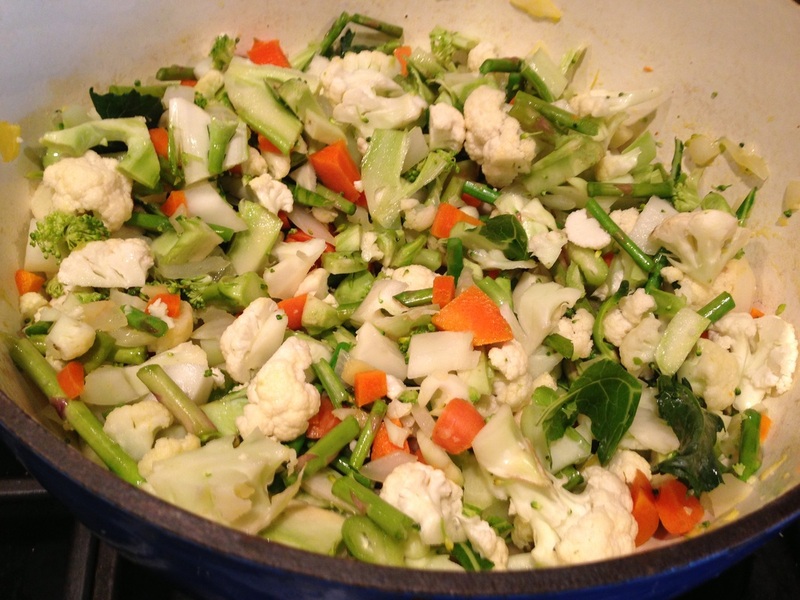 Cover with water or broth and cook until vegetables are fork tender 20-30 minutes. Allow soup to cool and blend using a hand blender or transfer to a blender in batches. Return to soup pot and cook on low. 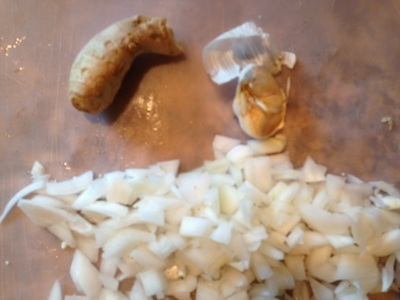 Taste soup and add salt and pepper to your taste. 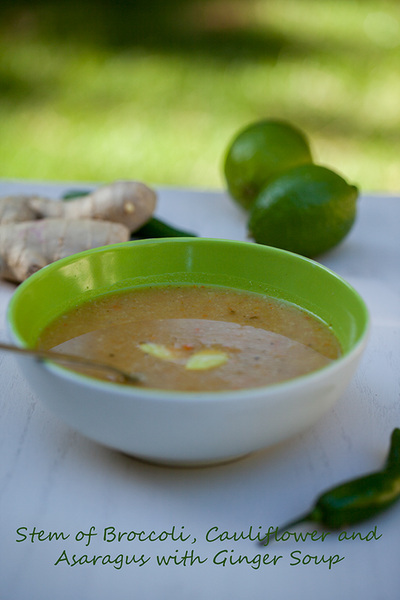 Enjoy this easy to prepare and healthy soup!